2017 saw a substantial increase in investment within the healthcare space. In the first half of the year alone $3.5 billion was invested across 188 digital health companies. This has set a record for both the amount invested and the total number of companies funded. With the global population looking for better access to healthcare, rising costs, and smartphone technology becoming more readily available, innovation in healthcare will only continue to expand. Blockchain, artificial intelligence, and telemedicine platforms are likely to see a rise in popularity among care providers and health tech companies alike. The innovation is already there and will continue to evolve, but the real question is what will drive consumer adoption of these digital health products and services? We are beginning to reach a tipping point where a few keys drivers will likely to serve as a catalyst for change. The financial burden of healthcare services, long wait times, and provider recommended tech solutions may very well be the push the healthcare industry needs. Currently, 46% of consumers can now be considered active digital health tech adopters. We will likely see this number grow well above 50% during 2018. Artificial intelligence is expanding in popularity, especially in the healthcare industry. Investment in health-related AI is also booming, with an estimated market value of $600 billion by the year 2021. This comes as no surprise as AI promises to be a driving force in the future of medicine. With rising operating costs, growing populations, and higher expectations from consumers, AI will begin to step in and close the gap between patients and the care they seek. According to Accenture the top three AI applications are robot-assisted surgery, virtual nursing assistants, and administrative workflow assistants. As with all artificial intelligence technologies, data is the cornerstone of success. Surgical robots will use pre-op records and real-time operating metrics to better perform surgical procedures. Learning from prior experiences will help these machines become more efficient and potentially increase the success rate of complicated operations. With growing populations and already long wait times only getting longer, virtual nursing assistants can help substantially reduce the length of hospital visits and the amount of time it takes to reach a diagnosis. Sense.ly, a Mayo Clinic backed virtual nurse app, raised $8 million in a series B round this year. The cognitive technologies behind applications like Sense.ly ensure that these virtual nursing assistants can treat patients with the utmost delicacy, empathy and compassion. 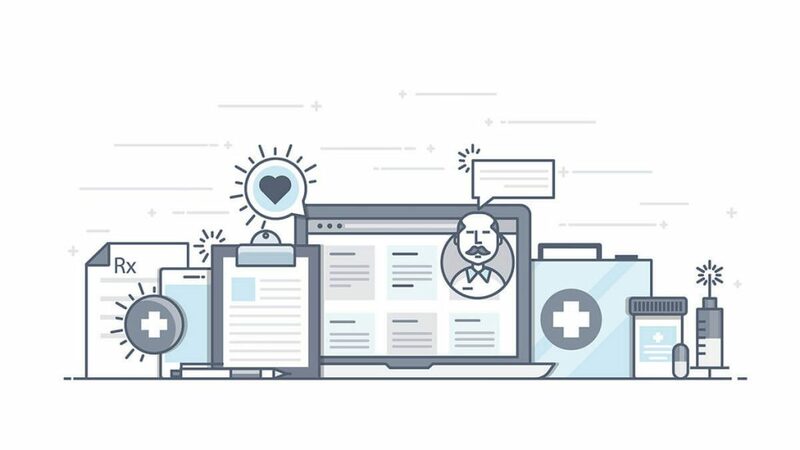 Additionally, as it becomes the norm to digitize our health records, medical professionals have been spending more time on administrative duties. This means less time with the patient, which ultimately leads to fewer patients being seen and longer wait times. AI driven technology, such as voice-to-text transcription, help lessen the burden of updating medical records, writing prescriptions, and noting taking during an office visit. Due to electronic health records and connected medical devices, healthcare organizations have collected troves of data that can be tracked to better diagnose and treat patients. Given the privacy concerns surrounding patient’s personal information, security has to be taken into account. Healthcare companies are a favorite target of ransomware attacks and will look to new security methods, like blockchain, to help defend their data. Currently, healthcare companies spend 3% more on data and network security than any other industry. This trend is likely to continue in 2018, and because of the security blockchain provides, there will likely be an uptick in adoption as 56% of companies plan to integrate blockchain technology by 2020. Apart from the security benefits, the most significant reason for the use of blockchain technology is the ease it provides when sharing data across platforms. Regulations, weak incentives for sharing, and storing data in different locations are all barriers to sharing data that blockchain seeks to break down. The ability to share data in a decentralized formation will allow sophisticated analysis of data sets that previously were impossible to connect. With the fluidity of future healthcare data, researchers will be able to quickly access more information, which will, in turn, mean finding cures and diagnosing patients more efficiently. If we were to name a single factor already mitigating the physician shortage and long wait time crisis, it would be telemedicine. Over the past three years, telemedicine has seen an increased adoption rate of 71%. Two-way communication between a doctor and a patient can be achieved through most communication platforms, but as the rise of mobile phone usage continues to grow, especially in developing nations, telehealth providers will need to provide a first-rate user experience to win over customers. Given that in the U.S. alone, the average American adult (18+) spends almost three hours on their smartphone every day it’s clear that the most effective way to reach patients is by making information accessible at the tap of their fingertips. Scheduling appointments, payments, and access to medical records (data vis) will all need to be learnable and intuitive. Going to the doctors is not always on the top of everyone’s list. We may see an increase in telehealth provider’s using gamification to promote excitement and lower anxiety about using their platforms. As innovation continues to spread, data-driven outcomes, automation of costly manual processes with the use of AI, and greater access to care will be weaved in the healthcare industries DNA in 2018. It’s an exciting time to be operating within the healthcare space, and we believe that with the right mind set, and a dedicated team, the industry will be transformed.